I am in a history book club, which I’ve talked about before on this blog. We met last night, and the topic was winners of the Nobel Peace Prize. Everyone read about a different winner, all amazing people. But the most interesting thing to come out of the meeting was the story about Alfred Nobel and why he may have started the Nobel Prizes. Many speculate that it was this bizarre and premature report of his death that led Nobel to (unexpectedly) leave the majority of his money in a trust to fund the Nobel Prizes. Fast forward to today. One of viagra online shop in uk the best things about being an entrepreneur is the ability to create new things. But the implications of inventing or building or creating something that didn’t exist before can be serious. I’m certain that the founder of Craigslist didn’t anticipate it being used for murder, that MySpace’s founder didn’t plan for it to lead to suicide and that the inventors of these top 10 inventions that went bad for mankind didn’t plan for them to be used the way that the ultimately were. Nobel’s invention has been used in mining, quarrying and construction to great results. But it has also been used to kill, murder and maim. That was a legacy that he wasn’t comfortable in leaving – so he did something about it. I am an entrepreneur, but more specifically, I like to build things that didn’t exist before. I get a lot of joy out of envisioning something new, and then bringing it to life. 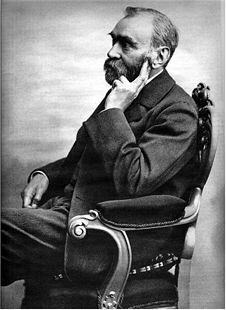 This story of Alfred Nobel, though, was a good reminder to consider the cost. I’m also thinking hard about what I can to leave a legacy of which I can be proud.